England vs Panama game schedule today on Sunday, 24th June 2018. Panama national soccer team are standing at the 55th rank in the FIFA world rankings. The team lost their first game against to Belgium with the final score of 0-3. This is the second match for Panama and England in this tournament group stage. 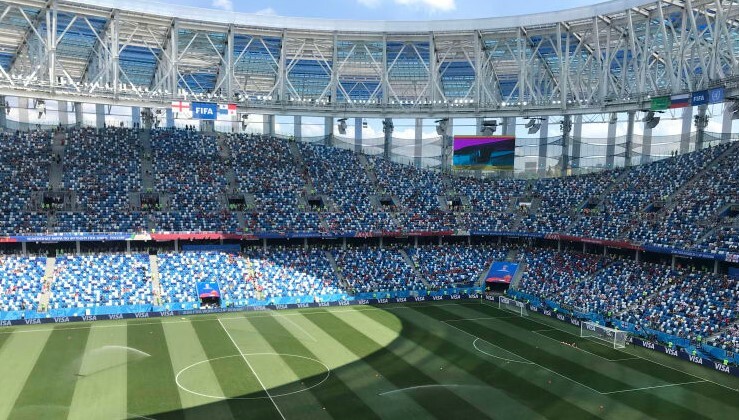 England at 12th place in the FIFA world ranking, who stands at the second position in the table G.
The game between England and Panama scheduled to play at Nizhny Novgorod Stadium on 15:00 Local time. England team looking for their second win and Panama for their first win. Belgium at first in the table with 6 points by winning two consecutive matches. England Starting XI: Pickford, Trippier, Walker, Stones, Maguire, Young, Loftus-Cheek, Henderson, Lingard, Sterling, Kane. Panama Starting XI: Penedo, Murillo, Escobar, R Torres, Davis, Gomez, Godoy, Cooper, J Rodriguez, Barcenas, Perez. The above-given list of broadcasters are providing England vs Panama live streaming World Cup football match on respective countries. People around the world can watch this match as easier than ever this time, which is also available online, mobile phone app, and radio live commentary. Most of the brand leading sports news websites are also providing the live stream score and commentary of every football matches.